MrGunsNGear and Russian Roulette Clothing team up for a giveaway! Check out the Youtube video for details. 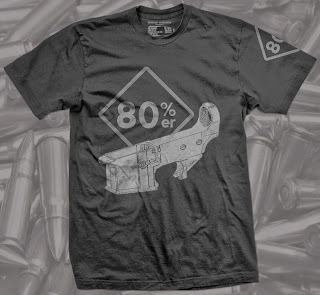 MrGunsNGear is wearing the 80% er shirt available from Russian Roulette Clothing. You could be an 80% er!